I would like to inquire about your property Bayut - 137-Ap-R-1110. Please contact me at your earliest convenience. Burj Views serves as the home next-door to corporate offices in Downtown Dubais Emaar Square, Boulevard Plaza, The Corporate Suites in Burj Khalifa, The Offices, and Al Saha Offices in The Old Town Island. Residents also have easy access to world-class hospitality and leisure facilities including Armani Hotel Dubai, the worlds first Armani Hotel located in Burj Khalifa; The Address Downtown Dubai; The Address Dubai Mall; The Palace Downtown Dubai; and Manzil Hotel and Vida Downtown Dubai. 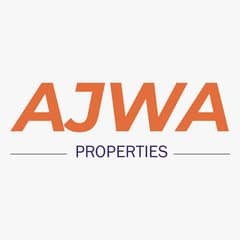 You can lease or sell your property to us through AJWA REAL ESTATE BROKERS as we can provide you a good price and services.